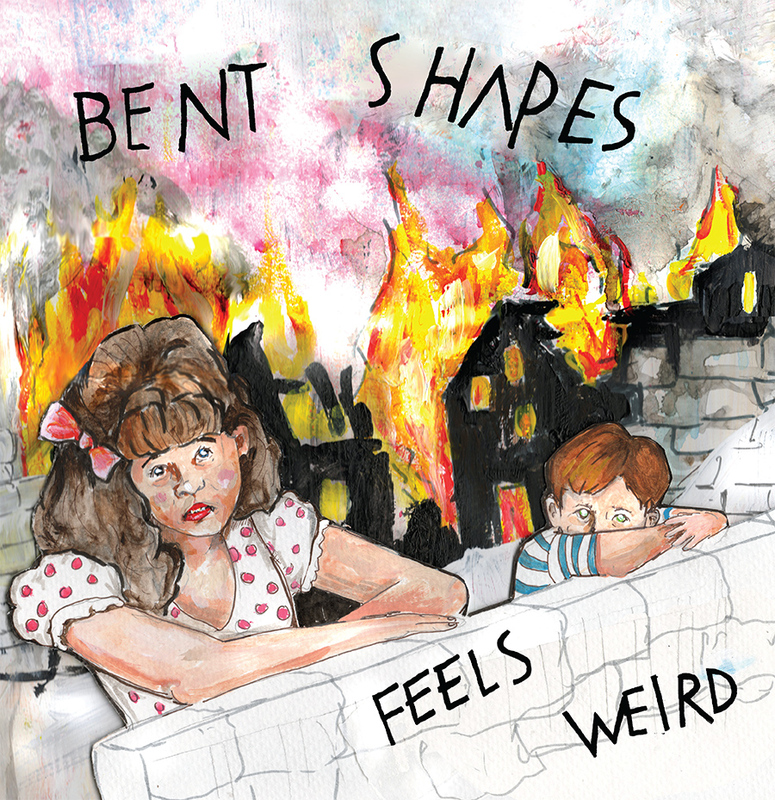 Bent Shapes are a three-piece band out of Boston. They pound out a great mix of fuzzy meets jangly garage rock that’s sure to get you bouncing in your seat. They recently released their debut LP Feels Weird with Father / Daughter Records. Check out the noodly guitars, driving beat and vocal delivery of “Behead Yrself, Pt 2” (below), it will blow your mind! It’s one of my favorite songs right now, I can’t get enough of it. You can snag yourself a copy of Feels Weird from Father / Daughter or from Bent Shapes’ Bandcamp page. Be sure to check them out on tour in a city near you as well.